Moner Kotha Bol Lyrics from Tui Sudhu Amar: Starring: Soham Chakraborty, Mahiya Mahi And Om Sahani. The song is sung by Shaan And Madhuraa Bhattacharya And Music composed by Dolaan Mainnakk. Tui Shudhu Amar bengali Movie Directed by Joydeep Mukherjee & Anonno Mamun. 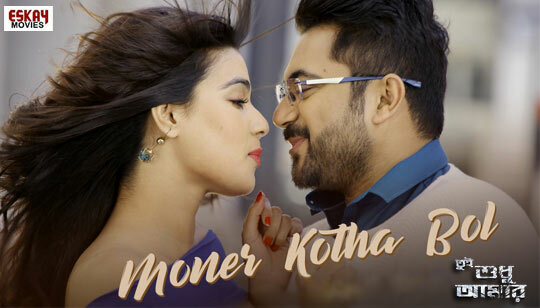 Suni tor moner kotha bol..
News about Moner Kotha Song Lyrics from Tui Shudhu Amar Bengali Romantic Drama Action Film directed by Joydip Mukherjee and starring Soham Chakraborty, Mahiya Mahi And Om is the starring Main Lead Role In This Movie. Others Cast is Hasan Imam, Biswanath Basu, Rebeka Rouf, Partha Chakraborty And Others. Art Direction by Ananda Adhya.